Peter Calandra has been one of the more productive artists for several years. It seems like I finish one review than in a short span of time I am writing another one for him. That works for me as I believe he has been one of the most creative and eclectic artisans I have had the pleasure to work with. 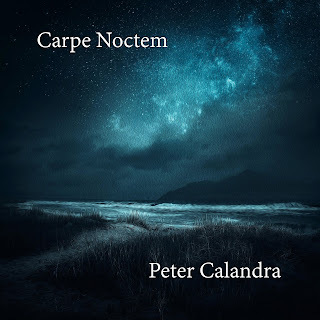 I went into this listen of Carpe Noctem (translation Seize the Night) with a lot of anticipation based on the input Peter provided prior to my first experience listening to the recording. 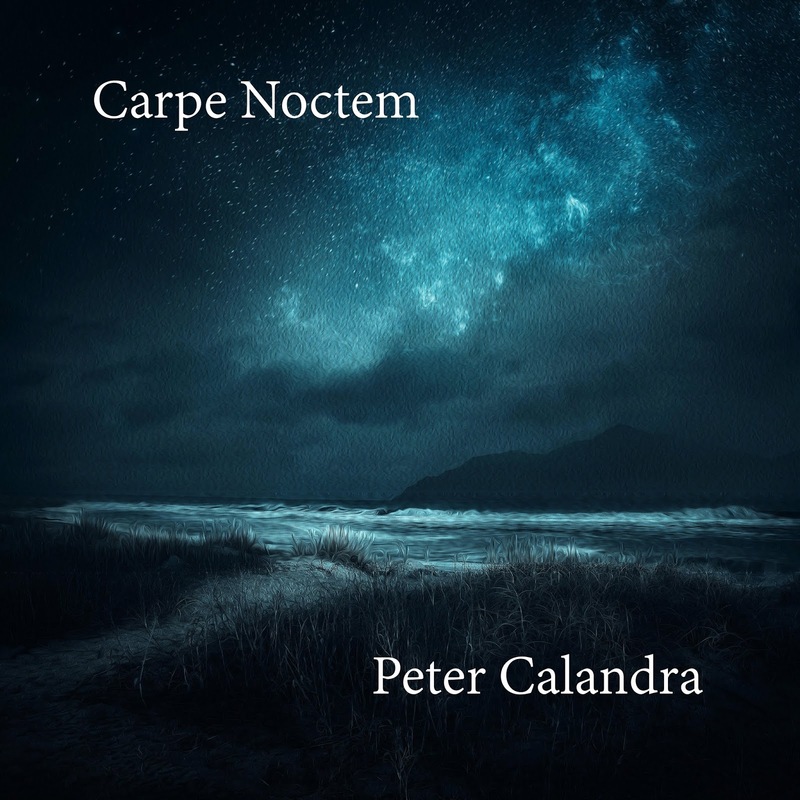 Peter informed me of the following: Carpe Noctem is an album of ambient-sacred-orchestral music. When I was in undergrad school singing in the choir, we performed quite a bit of sacred music with the text in Latin. Music by Mozart, Bach, Beethoven etc. It was always inspirational to learn and perform this music and it's always been in my mind to write and record orchestral music with the choir. 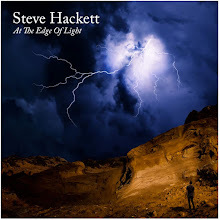 This is some of the most moving music I have heard this year in the new age genre and or sub-genres. Peter is the composer and author of all the orchestrations, digital sequencing, synthesizer and the cover artwork. I think it is safe to say that he is a multi-talented artist that brings a lot to the table regarding entertainment value. What made this Carpe Noctem so special was not only the privilege of hearing it before so many listeners, it was the added bonus of all the Latin interpretations of each track. The cover art is another addition that makes this a complete experience of art, culture, and music. For my tastes that is the ultimate trifecta that makes any listen like a freshly brewed cup of aromatic coffee topped off with creamer and a spot of sugar. If you are a coffee drinker you will be able to relate better to that statement. Carpe Noctem you could say is religious or spiritual experience, whatever fits your comfort zone or terminologies. Personally, I felt it was both, it negated any voids of my day with exceptional grace and beauty. Peter’s exceptional talents allow him to touch your soul significantly, with a brilliant use of the tools he brings to bear in each track. The use of synthesizers, orchestrations, and a choir creates a gorgeous and powerful combination that will embrace you in so many ways. From the opening of “Agnus Dei (Lamb Of God)” to the closing “Spiritus Mundi (World Spirit),” Peter takes you the listener, to a heavenly level of existence that transcends daily life. For this listener, that is all I could ask for is a transitory experience that is pleasant and memorable.